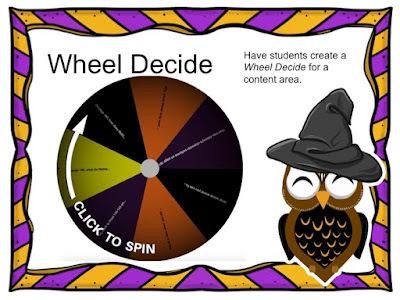 This is a four part series on digital tools for a Blended Learning environment. 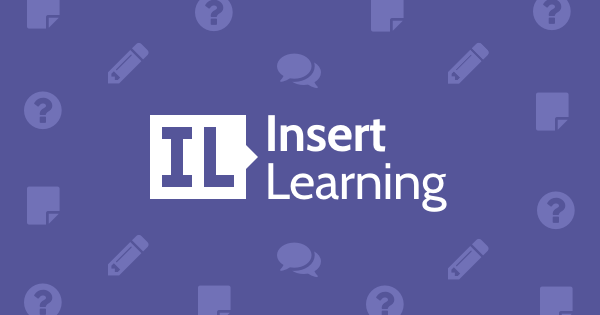 First up, in this series, is InsertLearning. 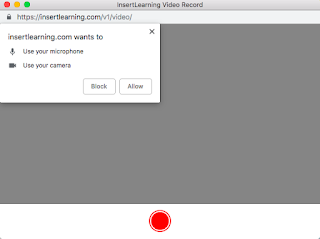 InsertLearning is a Chrome extension that allows you to take a website and make it interactive! 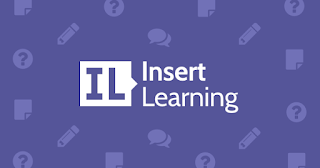 Like many tech tools these days, InsertLearning is a freemium site. However, the free stuff is great! 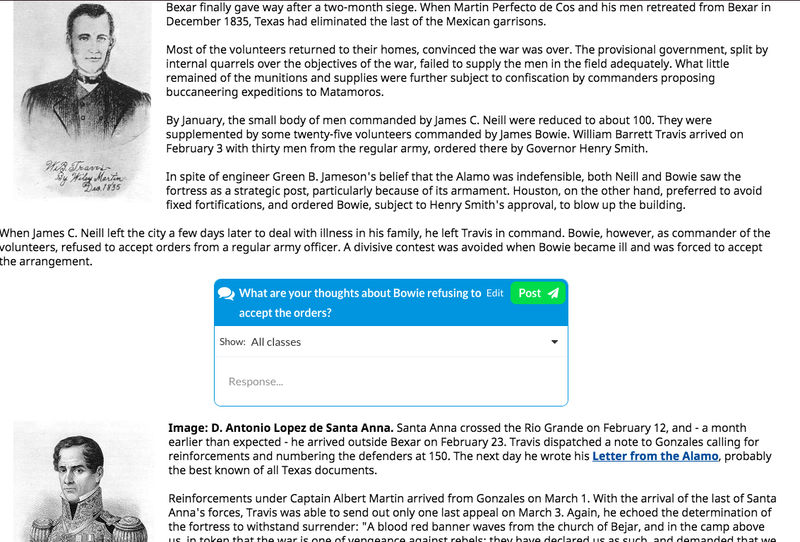 You can add questions, videos, and discussions. 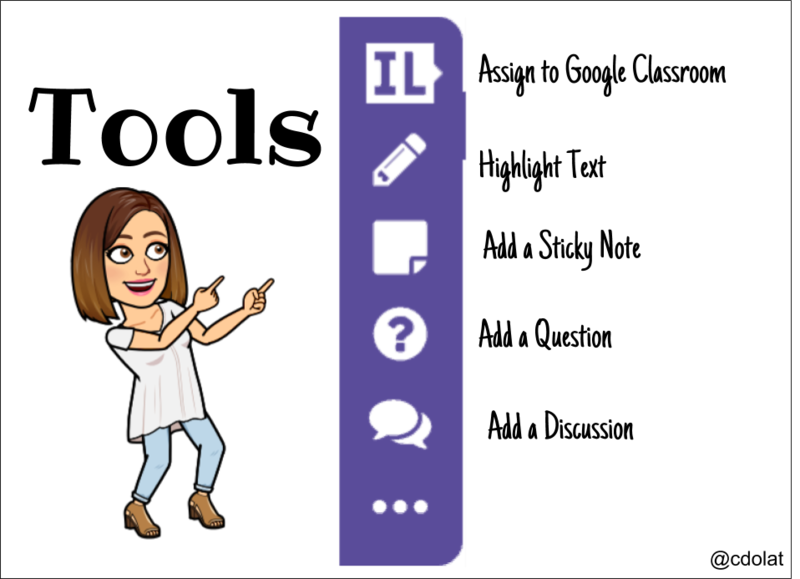 I love the fact that you can push out the learning experience to students through Google Classroom! Features . . . quick reference! 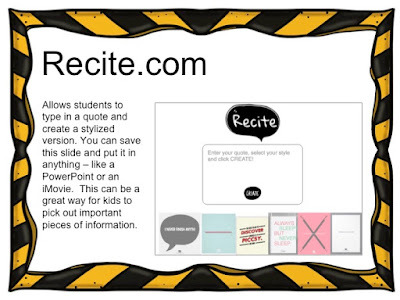 Draw students attention to particular vocabulary or phrase with the highlighting tool. How fun is this? 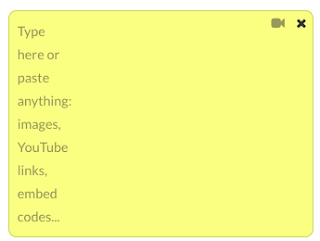 By inserting a sticky note, you can include an image, video, link or embed a code. What if you added . . . Even crazier . 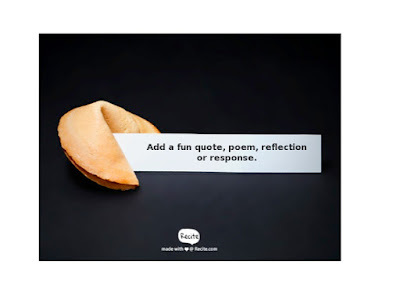 . . add a personal message with insight, directions, or a word of encouragement. 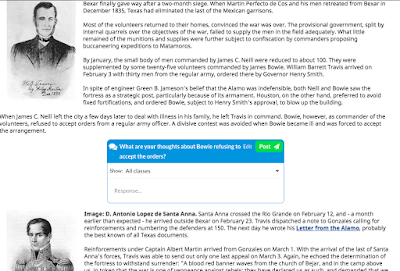 Highlight a section and click the question mark. Up pops this box. 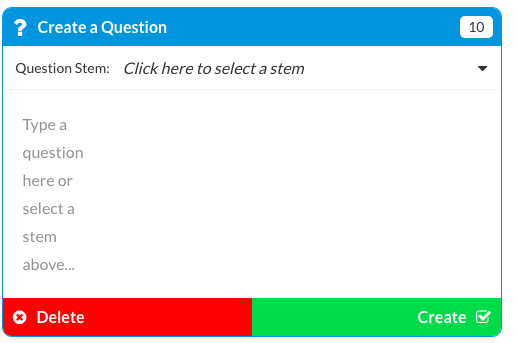 At this point, you can add your own question or you can click on the "select a stem" for choices for question prompts. Multiple choice or open ended! 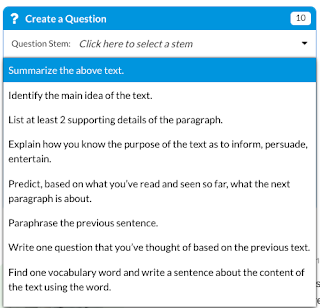 Add discussion questions that get students talking and connecting to the text . . . right there on the page. 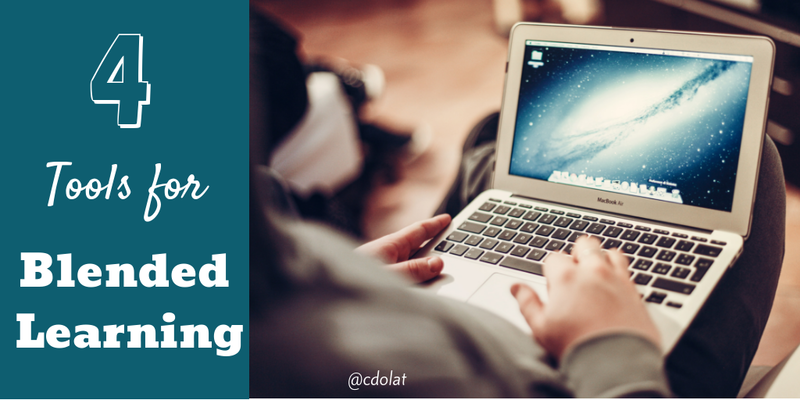 When designing work for students, start with your standards. Then, ask yourself if this tool lends itself to moving student learning forward. 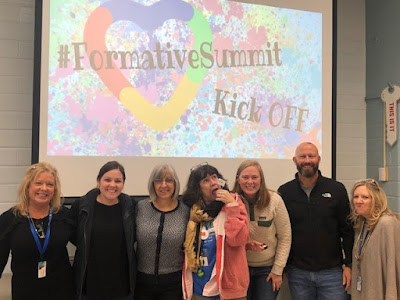 This Friday, Formative will launch their virtual PD Summit! 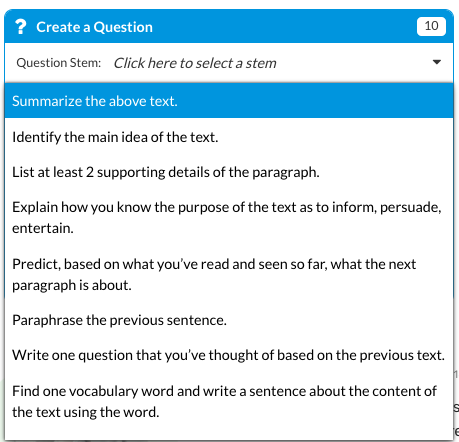 Formative is an assessment tool where students can type, draw, or submit images to demonstrate their understanding. Today, I hosted a kick-off to the #FormativeSummit, during our lunch period. A sweet treat and playing around with the features of Formative. 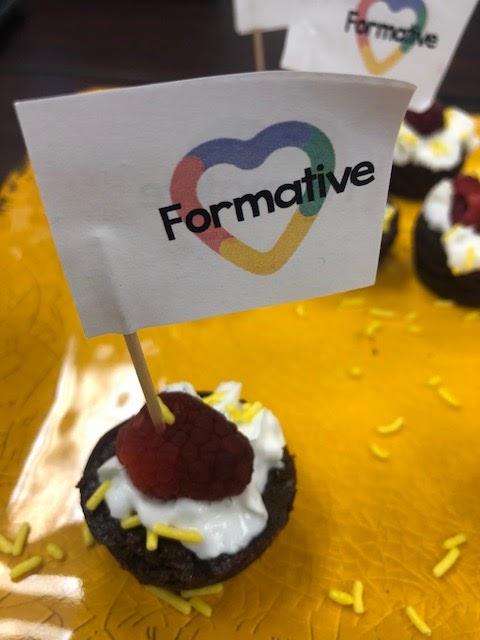 Time to spread the word and the power of GoFormative! 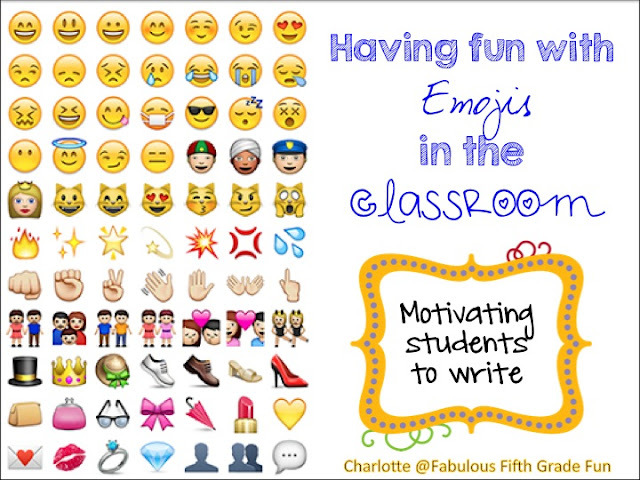 Below, you will find the presentation I shared with our teachers! Sign up for the #FormativeSummit by clicking here. The simple mnemonic, ABCDE, reminds students to make sure their drawing clearly depicts what they are observing. 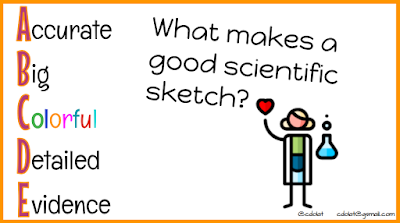 Science notebooks are a great way for students to capture their learning . 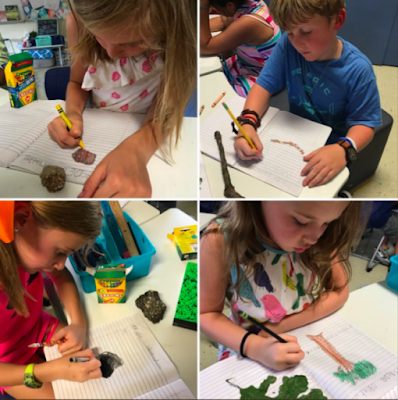 . . drawing, graphing and writing about their learning. 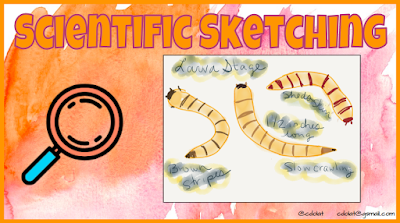 Why not add a bit of novelty and have students draw their observations with the app, Paper by Fiftythree? 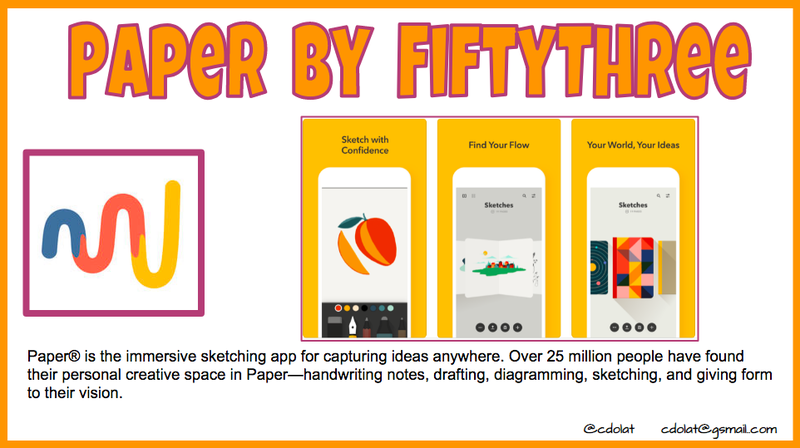 Paper is free for iPhone and iPad. 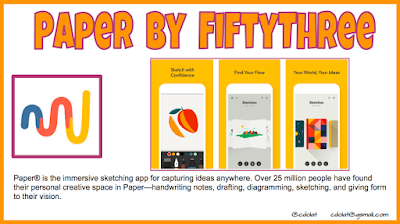 It allows you to create some amazing sketches. You can choose to save images as JPG or as PNG to the camera roll. 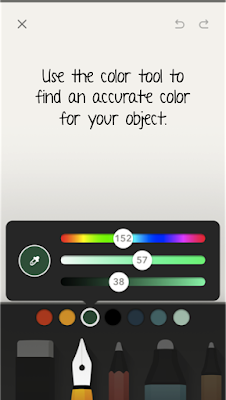 In the app, the tool tray has a variety of tools for drawing. My favorite is the watercolor brush. Click here to see a full description of all the tools. 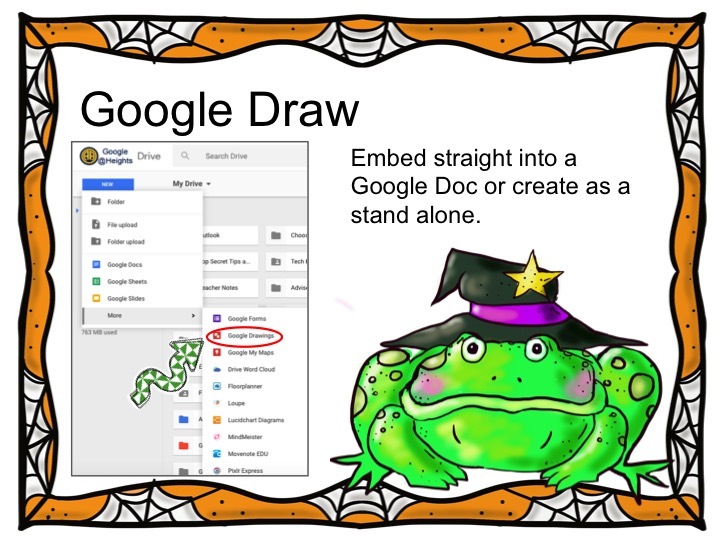 To help students draw, have them try using a stylus. 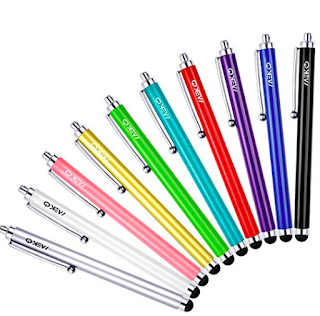 MEKO Stylus Pen 10 Pack Capacitive Stylus for an iPad or iPhone is a great choice. Great for control and accuracy. They can be found on Amazon. 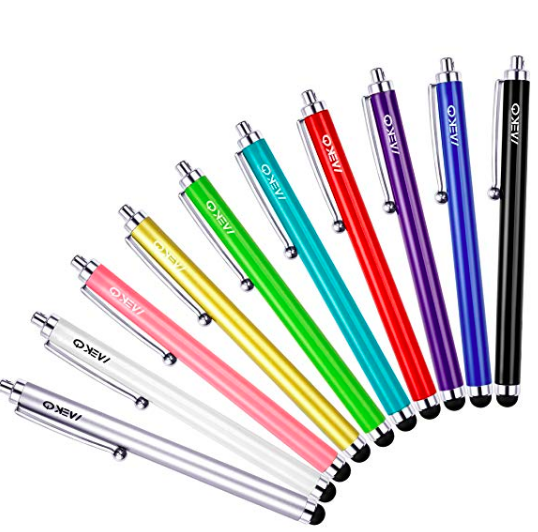 This pack of 10 is only $6.99! 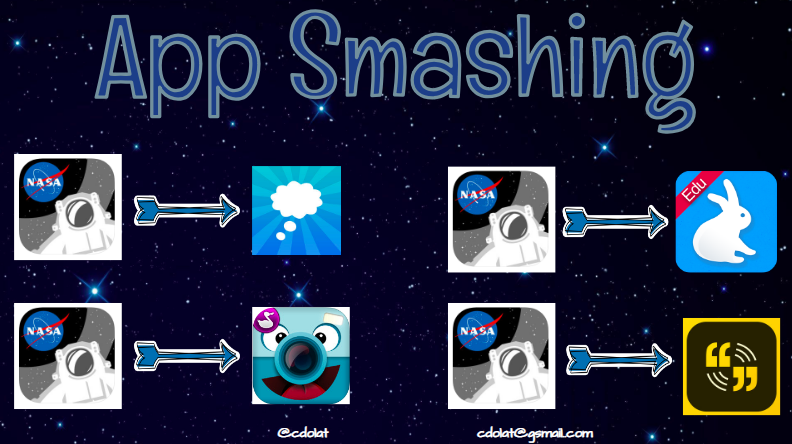 Once, students have their sketches, have them upload them to one of the following applications. 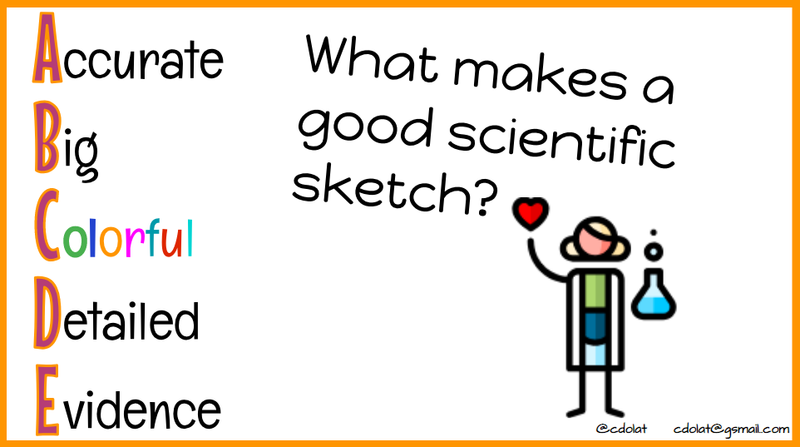 They can add their voice, icons, music and finally, turn their scientific sketches into an inspiring video. 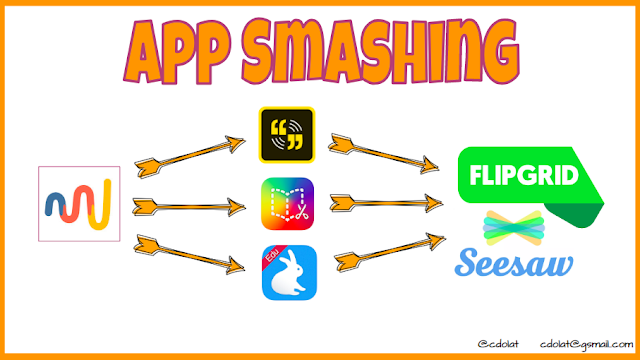 Have student finish it off by adding it to Flipgrid or Seesaw to share! Want more details? 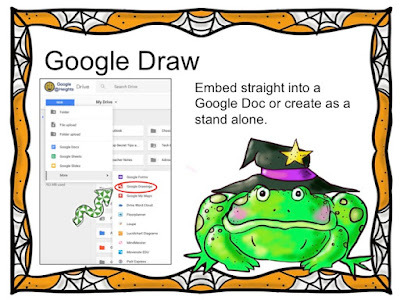 Click here for the Google Slide presentation. 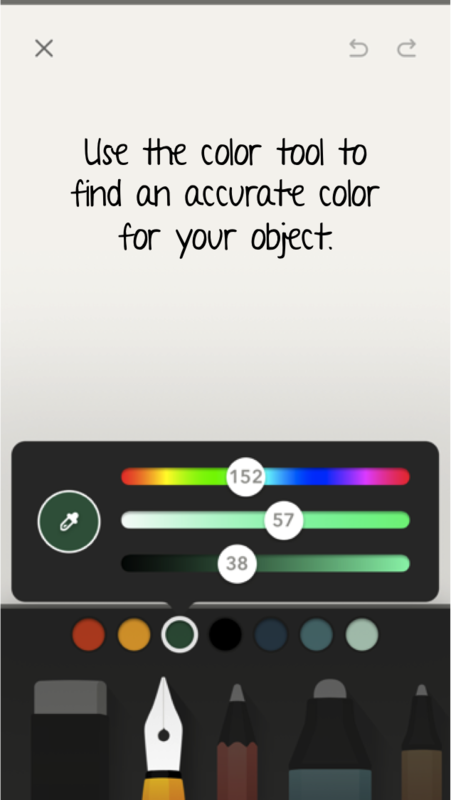 I love an app that has so many possibilities, plus a learning piece. NASA Selfies app, allows you to step into a virtual space suit and visit various outer space locations. 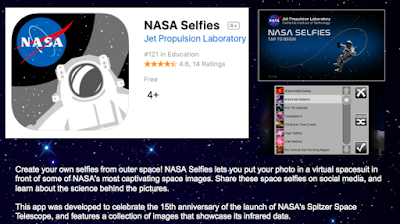 There are 30 different stunning backgrounds that are real photos of space captured by the Spitzer Space Telescope. It's not fancy, but when you add some app smashing, it takes it to the next level. A few ideas for some app smashing fun! Use the Balloon Stickies app to add a speech or thought bubble. Using descriptive language, students can record their adventure, with ChatterPix Kids app. 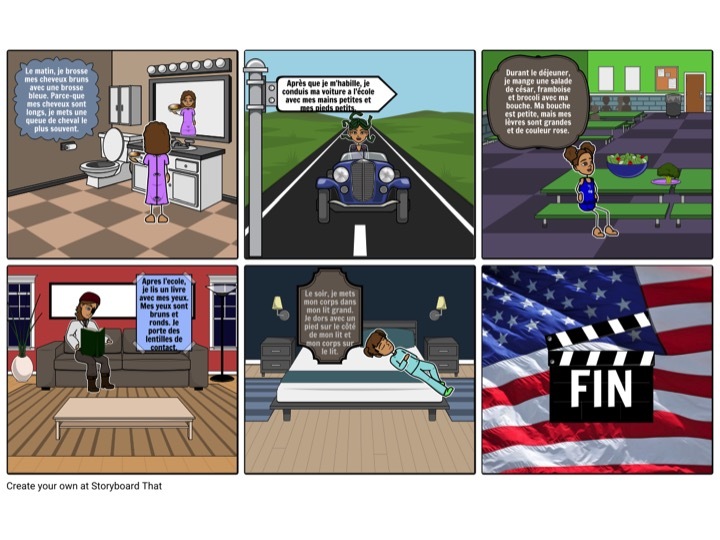 Have students take multiple selfies and create a story with a beginning, middle and end. 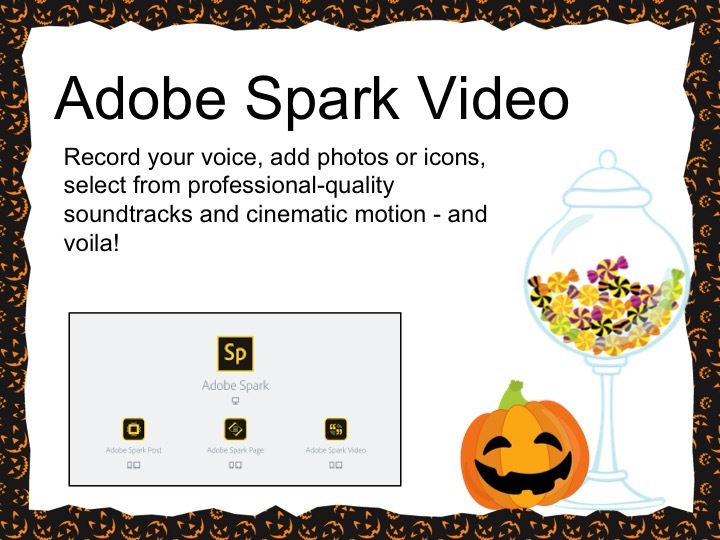 Pull them into Adobe Spark Video or Shadow Puppet EDU to tell the story. 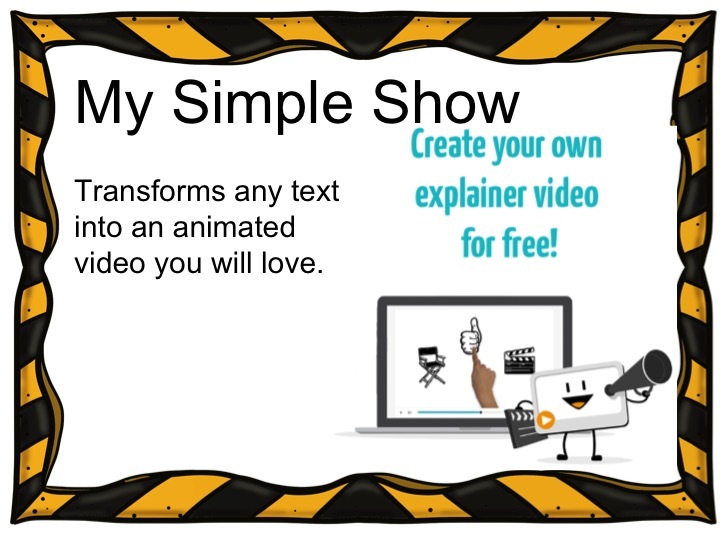 Or, start with Balloon Stickies, add to ChatterPix Kids and finish with Shadow Puppet EDU for a fun finished product. 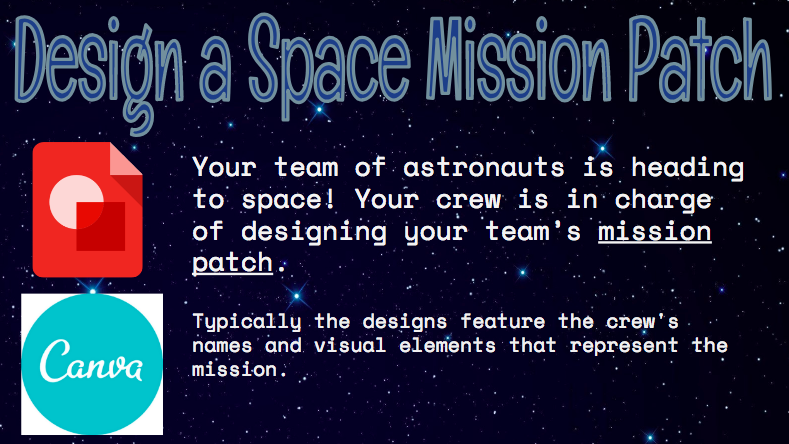 To start off a unit on space, have some fun letting students design a mission patch. 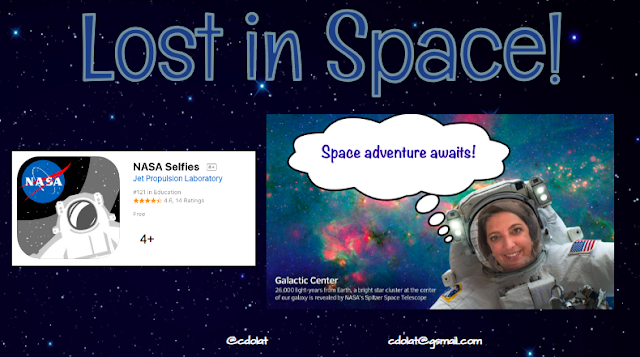 You can use this as a way to start off your unit on space or just a team building activity. 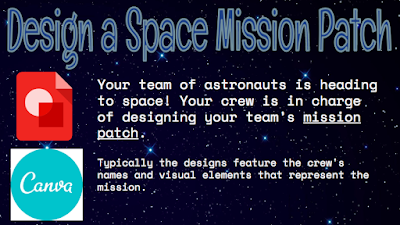 Students can head to the history of mission patches to see authentic patches designed by various teams of astronauts. Some of the patches are commemorative, not worn by the crew. Google Draw and Canva are two great tools to use when designing a mission patch. Click here to access all the slides in Google. 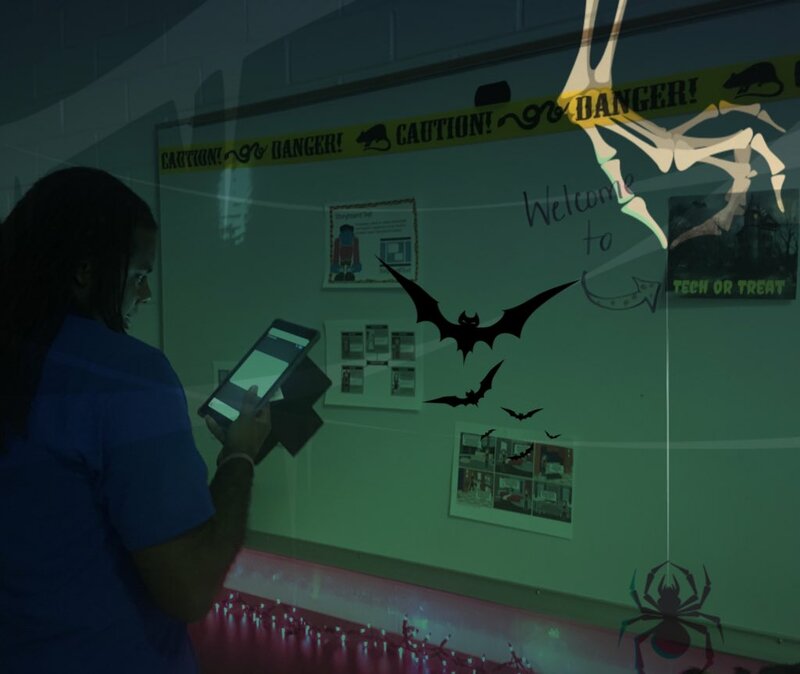 It was a fun 2 days "Tech or Treating" with our secondary teachers! I'm fortunate to have a small professional development room next to my office. 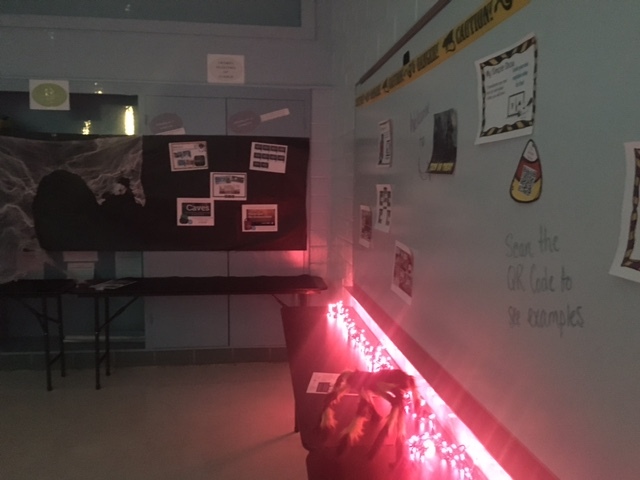 I took that room and added spooking lights, cobwebs, a BEwARe sign and a bunch of tech stations. Oh, and lots of treats! I fashioned the two days like an open house. Come and go! 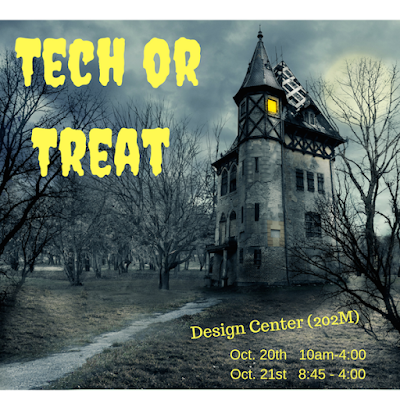 A bunch of tech and a bunch of treats! I wanted it to be a casual learning experience. 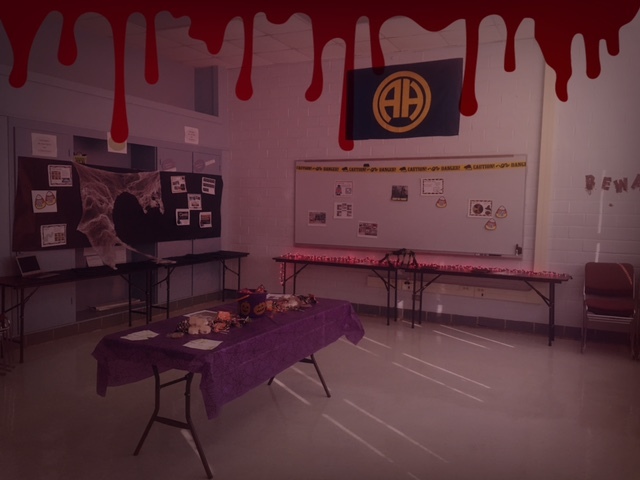 I set up stations highlighting different tech tools. I created QR Codes that linked to student final products. The purpose was to highlight teachers and the different was they are integrating tech. 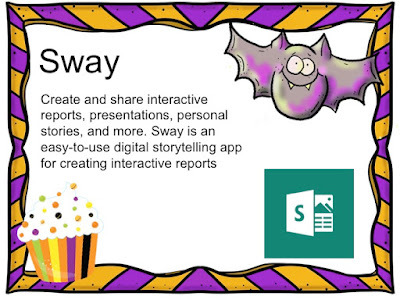 The nice part about the "tech or treating," it gave me the chance to have one-on-one conversations with teachers about how to integrate these tools with their content. 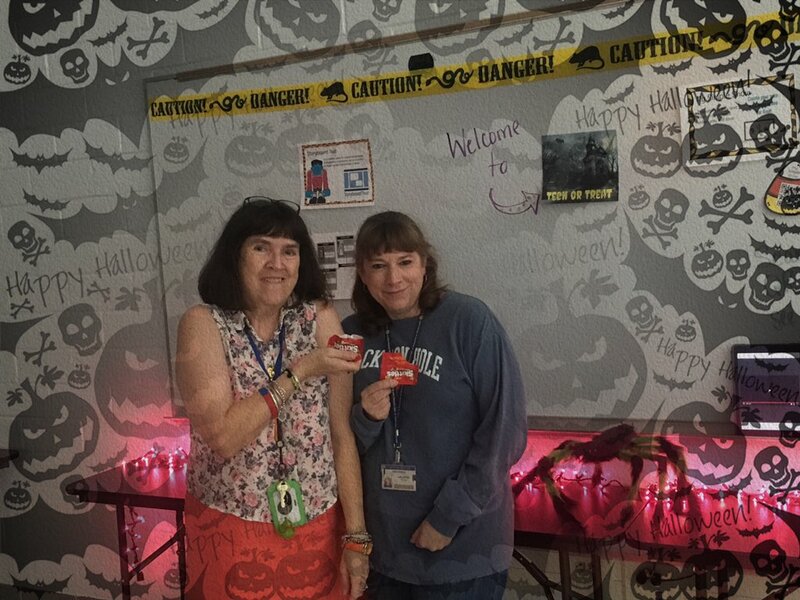 A few of our teachers tech or treating! What exactly were those tech tools? Here's my treat for you. Click on the image to take you to the site. 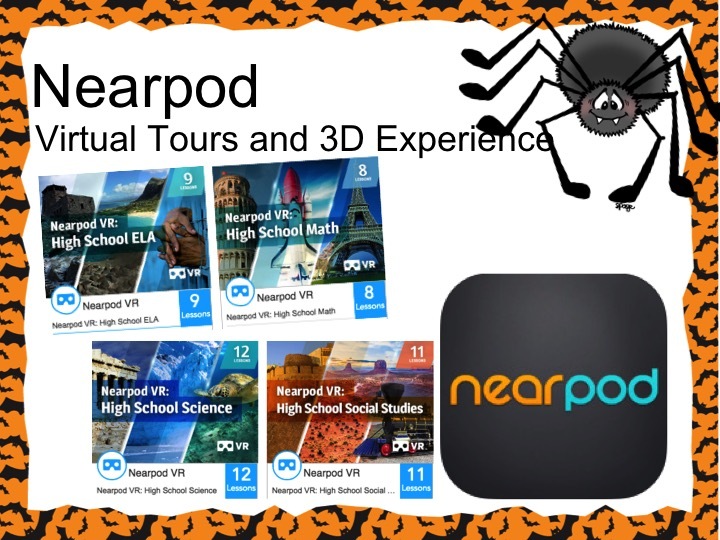 We have a district Nearpod account, so we have access to the virtual tours and 3D experiences. Super fun! 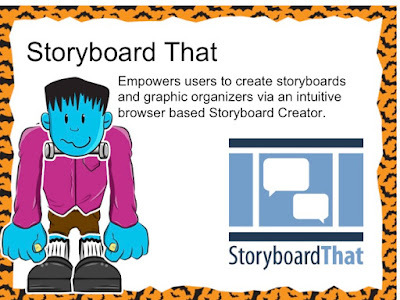 Create comic like stories! 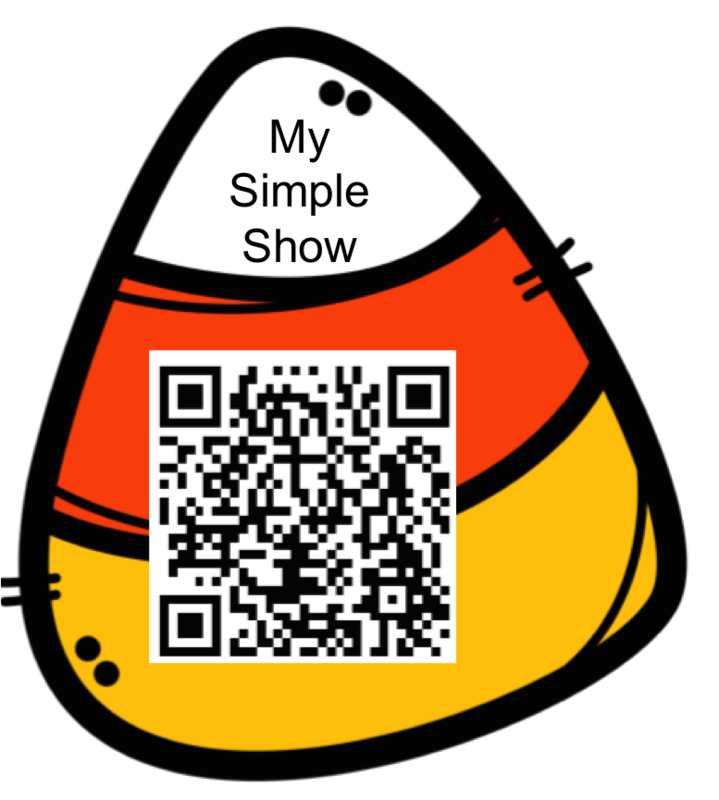 Show what you know! This is great tool for group discussion questions or if you have that family dilemma . . . Where do we go for dinner? Students add the text and the program brings in the images. Add a voice over and voila! I chatted with out World Language teachers about having their students type in English and voice over in the language for their class. 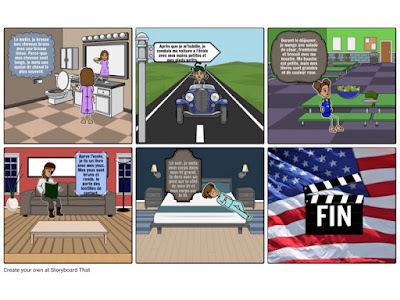 Here is one I created explaining formative assessments! 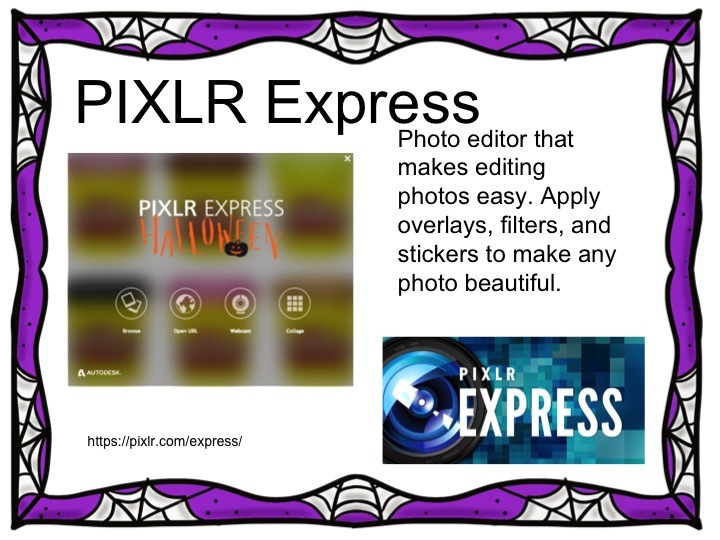 Next up, such a fun tool to edit photos. I used this to edit the photos at the start of the blog. Students can use this as an exit ticket. 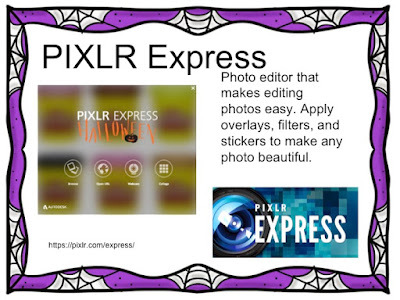 Take your picture, add text on your one big take away, add a few embellishments and share with the teacher! Another great tool for an exit tickets!!! One of the choices, a fortune cookie! How fun is this?! Enjoy the fun tech tools. 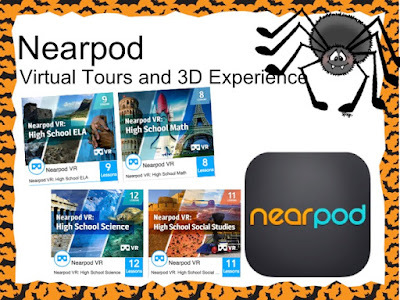 Hope they will be a treat for your students. Yep, that's right! Those cute little symbols have their own day, so let's celebrate! Using, Emoji Translate and Pic Collage, students can create some fun writing pieces. I also posted a few videos that are done using emojis! Super cute! Check out the post! 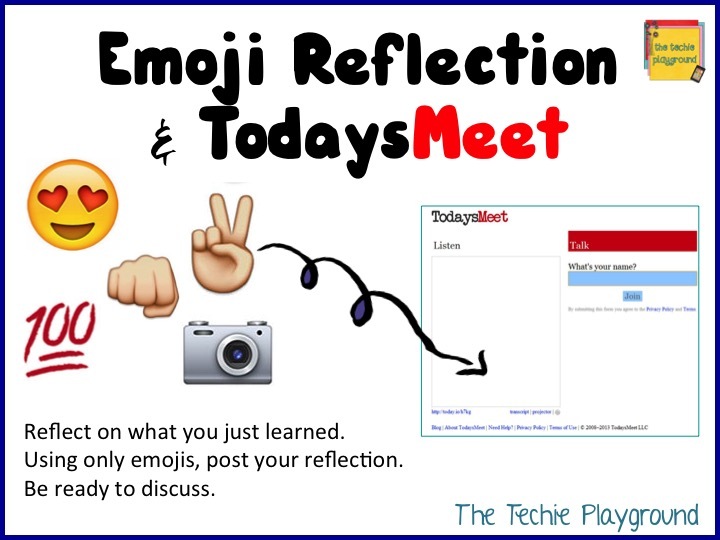 While attending one of Cori Coburn-Shiflett tech sessions, she asked us to stop and write a reflection about what we had just learned. 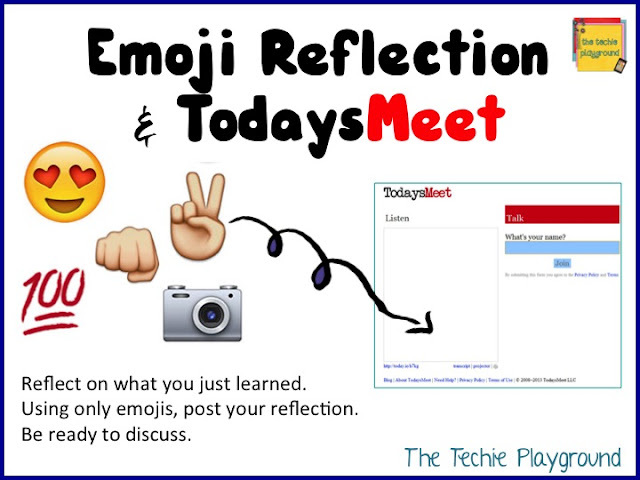 Using TodaysMeet, we posted a reflection using just emojis! Such a simple idea and tons of fun. So . . . today . 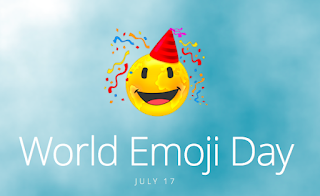 . . go forth and follow the hashtag #WorldEmojiDay to see how the rest of the world is celebrating the emoji! 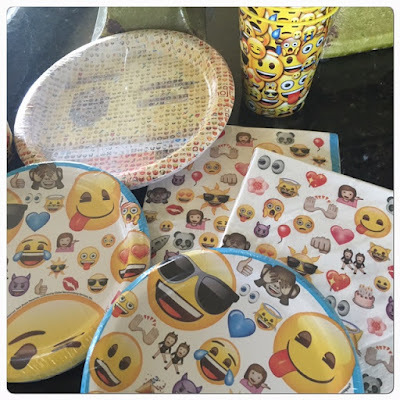 Today, in our house, we celebrate with emoji cups, plates, and napkins . . . making dinner just that much cheerier! Click on the image to learn more about those cute little characters!